Do you feel emotional or unbalanced? Have you ever heard of Jin Shin Jyutsu? If not, you should prepare for a real treat! Jin Shin Jyutsu is an ancient oriental art of balancing or harmonizing energy in the body. Master JiroMurai discovered it in the early 1990’s. After recovering from a terminal illness, he devoted himself to revive the art for the future generations. Jin Shin Jyutsu believed that we are all able to use this art using our hands, the only thing you need to apply it. The art balances energy and emotions by stimulating the meridians in your hands. Each of the fingers is linked to different organ and its corresponding emotion and attitude. 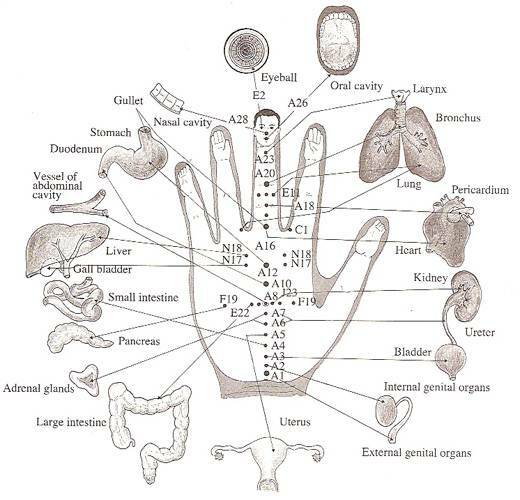 Hold the finger that correlates to the organ you like to heal or the emotion you like to claim (view the image below). Hold it for 3-5 minutes and breath deeply.